Everyone likes to save money, including me. I get tired of forking out more and more for what have become necessary items. Phones, laptops, and all the paraphernalia that goes with them are no longer luxuries. They are necessary for business and daily living. My job, paying bills, depositing money, and even buying supplies is now centered around computing. So when something is going to save me money, I stand up and take notice. ARM Processors are going to save us money. Here’s how! Prediction In 2013 the cost of new computers will fall drastically. This will be across the board on computers of all types: desktops, laptops, tablets, and smart phones. When I say drastically, I mean as much as 25% to 30%. Tablets and laptops will fall because Microsoft is entering the race with ARM processors and Windows8RT. Desktops will fall in price because more and more desktops are being replaced by fast, capable laptops. Catalyst ARM processors are on all smart phones, most tablets, and many laptops. They are rocketing in popularity because they are small, inexpensive, fast, and consume very little power. They are not the same architecture as the Intel and AMD x86 processors we’ve used all these many years. They are a different, new architecture, and the applications/programs used on them require different code. Today that figure is growing as the need for mobile technology continues to push personal computer sales. I don’t expect the sale of desktops to stop, but I do expect to see increased sales of tablets at the expense of laptops and also the switch from x86 processors to ARM processors for laptops. Power, size, and low price are only part of the equation creating the popularity of ARM processors. Reduced power consumption is a huge advantage. It’s the low power consumption that allows for the extended battery life we are seeing in tablets and laptops today. This need for small, fast, efficient processors is only going to increase as we expect better portability and performance from our computers. The ARM architecture is licensable. It can be licensed by and is used by companies like AMD and Intel. They are permitted to manufacture and design their own CPU cores through licensing. Intel’s use of ARM processors for their entry into the Tablet market and the creation of Windows8 RT represent a first for Intel and Microsoft. Previously Microsoft has only written operating systems for use on x86 architecture. Now they are writing for ARM architecture. 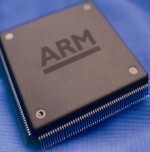 This is a big deal and will catapult the popularity of ARM processors and architecture. There’s always a downside but it doesn’t have anything to do with the hardware. It’s the software! You will need new software. None of your old software, antivirus, tweak programs, scrapbooks, or games will work on the new ARM architecture. You will need to purchase all new software. It souldn’t be too bad though. Our favorite programs must be completely rewritten and it is certain there will be improvements and updates to offset some of the costs involved. So what do you think? Are you ready for a faster, longer-lasting mobil option? Are you ready for all new software? Will the savings outweigh the costs? Makes sense. Intel & Microsoft are taking Windows and Core i processors to Business computing with advanced security and system management. Serious computing is going to the cloud. Home computing and cloud access devices from desktop thin clients to smartphones and tablets need minimal CPU power, and can save a lot of cost with ARM processors. Microsoft, of course, has Windows 8 and Office all set to integrate seamlessly. Specialty apps will follow the App Store model. Existing software (Windows 8 compatible) will be easily converted with a plug-in to Visual Studio. Fore warned is fore “armed” sorry! well there will always be change some faster some slower you give a very simplistic view of only windows and a slight hint to mac well there are loads of OS’s BeOs, linux, sun etc if one fails another will take over. My worry is the bit where Microsoft are looking at blocking a duel boot setup or being able to wipe a windows machine and put another OS on it the only answer here is for manufacturers of computers to send them out without an OS and let the retailer put it on then the customer could choose which flavour he/she wants. As an old retired computer professional I always stay several releases behind because the new stuff is fill of bugs and headaches!! Therefore I speak with wisdom and years of experience. The techie world are the biggest suckers in history. If you don’t want to be prostituted by intel and Microsoft (like apple) then stop buying their crap. if nobody buys it it will die on the vine. I know this is a pipe dream but sooo true. Well, if ARM is the Trojan Horse and slavery to a software store, the death of open source programming and the shareware communities, then saving money is NOT what will happen. This looks like a transparent power play by Microsoft to extort “protection money” from software producers and to have final say over which software will be allowed to run on my computer. That’s no deal. I’ll go to Linux if I have to. Then the game companies will follow. No games–no Microsoft. For better or worse, games drive progress. The part that bothers me is that things are going the way of Apple. Meaning that with I mac and apple you can't buy software unless it's through the apple store. Apple controls it and gets a piece of it. That's not currently the case for PCs but it's going to be going that way with the new Windows8 RT and the applications that work on it. Not something I'm looking forward to and I'm not exactly sure how this will effect desktops from now on. It was all going well till you mentioned the Downside…buying all new software is an absolute deal breaker. You won't necessarily need ALL new software. Someone just needs to produce a software-hardware interpreter that can translate older software into coding usable by the new chips. Or someone would just need to create a good x86 emulator to create a virtual operating environment in which the older programs could then run. There are many examples of this type program in the open source community. 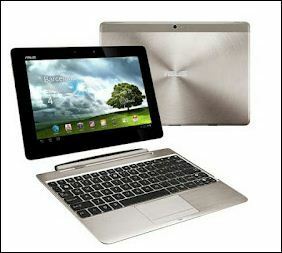 When you buy a laptop/notebook it is usually all inclusive anyway so most mobile users will see little difference. Programs will be written to do our word processing, spreadsheets, databases etc in a way that is familiar to us if they want consumers to buy their products. There will be a small learning curve to adapt to the program changes but for mobile applications it will like learning to use a new cell phone. For desktops people will probably hang on to their favorite operating system as long as possible. New technologies are always driven by consumer acceptance (profits) so they will by necessity make the transition as painless as possible. It MAY be GOOD for some folks. But, personally, I find it useless and redundant to “begin all over again” when I’m only NOW becoming COMFORTABLE with my x86 Desktop and Programs. CHANGE is NOT always necessary. I would be happy driving a 1957 Chevy !!! PERHAPS some of the OLDER TECHNOLOGY was MORE “dependable” and certainly LESS COSTLY !!! Yes, things are always changing, and so they must. Nothing lasts forever, and that is most clear in the computing world. I would guess that as ARM replaces the x86 processors all of the data we now have on floppy,CD’s and flash will become inaccessible. Such is the nature of the beast, and we will scream, and cry about it for a while, and in a short amount of time we will all adapt to the change, and we will move forward quickly, and not have the time to look back. what? is this ARM architecture? how does it function?. and what does it stand for?.